It took four months in Ibiza, focusing on getting to know and building up my knowledge on walking routes in Ibiza, history, nature, hiking management skills. I have now my favorite paths to go on a hike, some thematic and creative routes and knowledge on what people like. I like to have small groups, with only few people on the walks and people, who have the drive to go on a longer walk. The benefits of walking are obvious, being outdoors and active keeps you energized, healthy and relaxes mentally and it also gives you a chance to get to know the local nature and culture and people. Following I have listed six routes that I have walked the most and that I find interesting for various reasons. Some are long and only for people who have had some training, some are for those who want to take it easy and enjoy the culture of Ibiza. I must have walked these routes so many times and each time I find something new and interesting. And I always get new ideas, which is another great thing about walking. 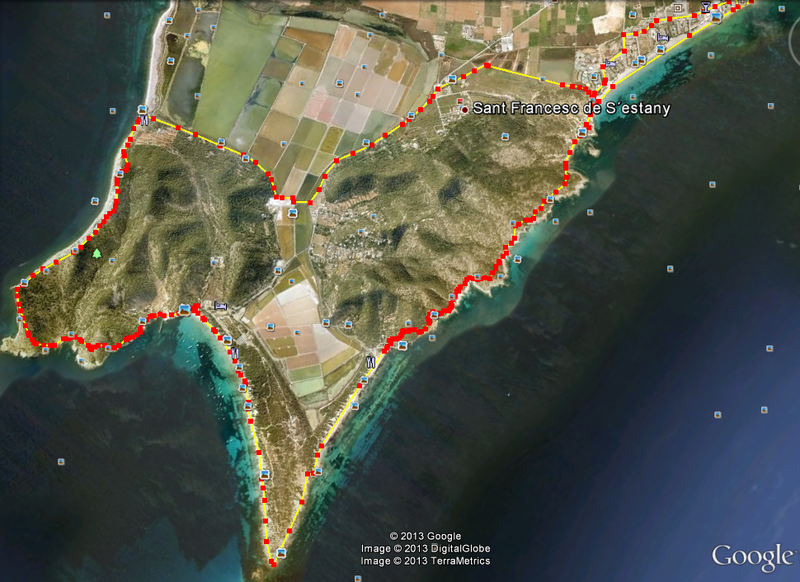 I invite you to explore those walking routes in Ibiza, on your own, with friends. * character of the route. This is a walking route in one of the most important areas in Ibiza, offering variety in nature, sights and level of difficulty. 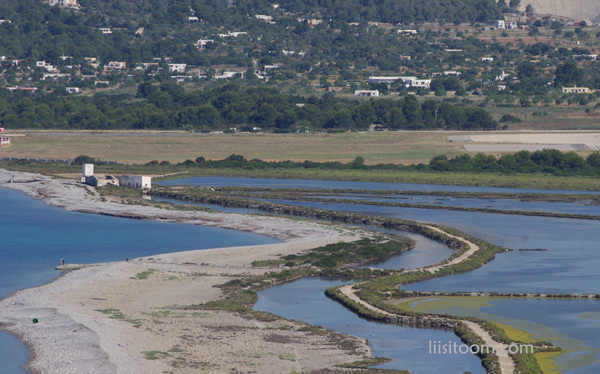 Ses Salines Nature Park area sprawls from the south of Ibiza to the north of Formentera, and covers the channel that separates the two islands, with a land area of some 2752.5 hectares, 1776.3 of which belong to the park and 106,8 to the nature reserve. And an aquatic area of 14 028 hectares (13611 correspond to the park and 416.9 to nature reserve). The uniqueness of this park resides in the fact that it is a rest area and a nesting ground for countless birds, along their migratory paths. 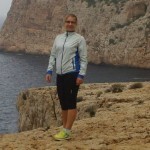 For me, the great part is that you can easily walk from Ibiza Town, taking the nice beach walk on Bossa beach, continue on the 7 hills, get to Es Cavallet beach, have a drink and a tan there, continue to Torre de Ses Portes and Las Salines beach, then CONTINUE to Cala Llarga beach, take Cap des Falco hill along with two other higher hills on your way, have glimpse of Es Vedra end up on a amazing Es Codolar stone beach, pass the salt marshes where the salt has been extracted for centuries, get back from the main road, see a San Francisco church that was built for salt workers but where you can see a beautiful sunset and then head to Torre de Sal Rossa on Bossa beach. Maybe stop by for a nice drink at Nassau club or any other beach club on the longest beach of Ibiza. It is an experience for a day which gives you an overview of almost all of the symbols that Ibiza has to offer. If you don’t have a whole day, or want to take your time for more sunbathing, I would suggest cutting the walk into pieces as written on the other walks. 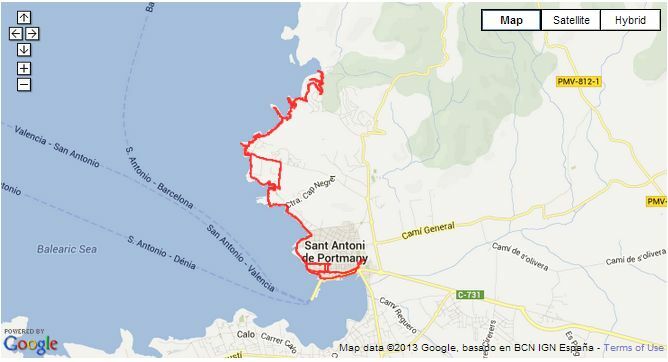 The whole route from Figueretas beach and back is 27 km. You can do it as training, only take some water with you and fast walking it in 6-8 hours or, taking the whole day, camera, sunbathing clothes to relax on the beach, take photos and just have a day on the wild side. 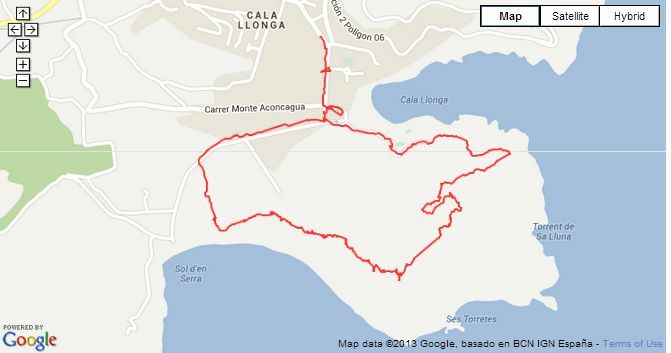 Here is my first full walking route of Cap des Falco/Salinas. If you want to take a day for sunbathing and seeing the beaches in Ibiza, this is something for you. 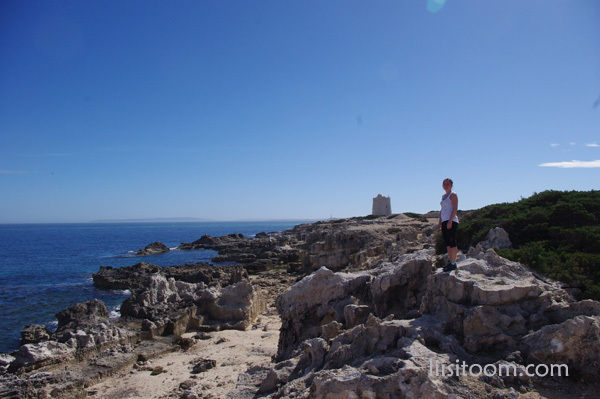 The walk includes popular beaches like Bossa, Es Cavallet and Las Salinas but there is also plenty of possibilities to stay on some flat sites between the hills and hidden beaches in Ses Salines. 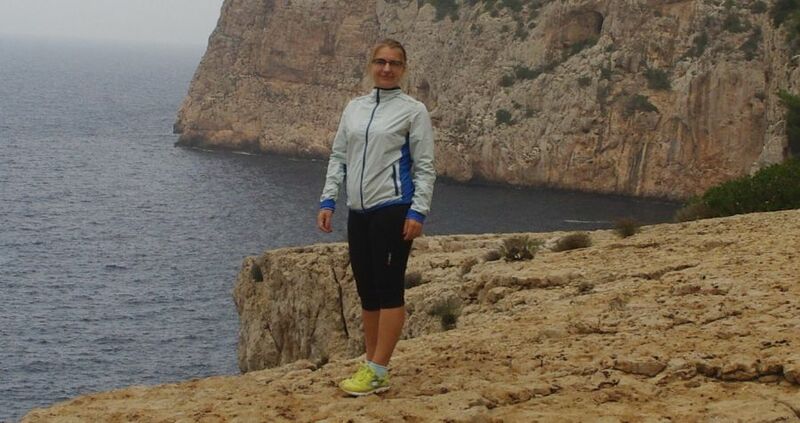 It is an easy walk, with only some ascents, but it gives you an opportunity to see the pirate towers, beaches, savine and pine forests, salt marshes, Es Vedra, the lovely white church and possibly a sunset or sunrise on your way. Depends on how you make the final route. You can start from Figueretas or get to the end of Bossa beach with a bus and take a bus back either from Las Salines beach or at the St Francisco bus stop. 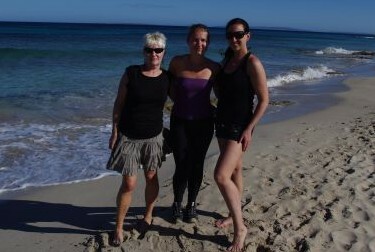 We have done it with massage therapist, but also starting from St Jordi market to Las Salinas+Cavallet+Bossa walking route. Basically, you can just combine it depending on the time you have and whether you come on foot, with a bus or by car. Cap des Falco has really found a place in my heart. 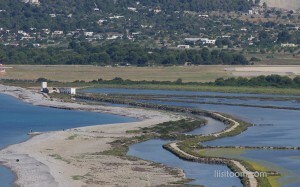 If I am not up for a long walking route, I might just get to the shop/bus stop Can Tixidor by bus and start walking along the salt marshes to the Experimnetal Beach Bar/ Es Codollar and climb up the hills there. The path is a narrow and very close to the cliffs, but definitely worth it. The whole route is somewhere between 8-10 km, on the hill it is only 3,3 km. After the ups-and-downs that might take your breath away and test your balance (loose stones), you can relax in a quite secluded beach of Cala Llarga, one of the Secret Beaches of Ibiza, as the author Robert Smith has written. 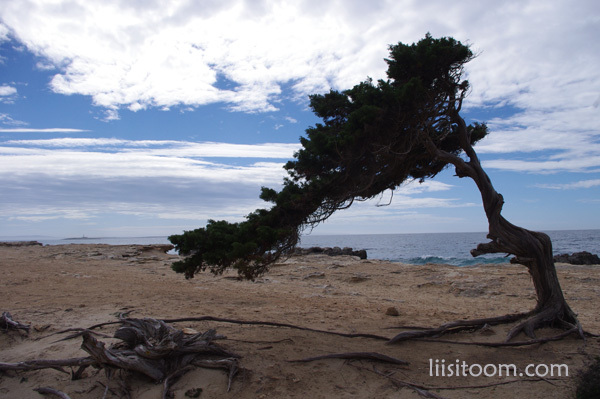 You will end the walk in Las Salinas and can either decide to leave with the bus or stay for more hours by the famous Las Salinas beach. This is my Es Vedra. Thougfh Es Vedra is definitely the most famos site to visit in Ibiza, the walk to and staying on Punta Galera is equally magical. At least for me. It is just so relaxed place, not many people go there (they go to the next cala, where you can see the Buddhas head, which is also known as Punta Galera, but it is really not) You can read about my previous walks to Punta Galera and a walk to Punta Galera with meditation. 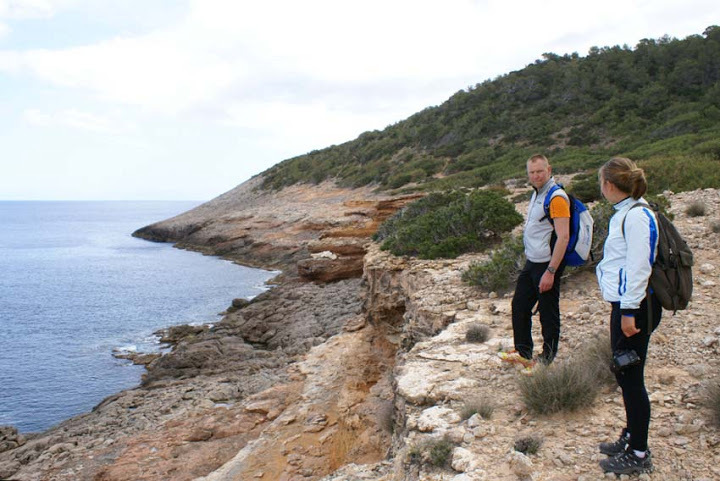 The walk there is on flat ground, passing some bushes, two beaches, Cala Gracio and Gracionetta. You then start to see Cap Nunó and then Punta Galera, meter by meter. You can go on the top of the Galera (“galloway” in English) stay there or go down to the little bebble beach of Punta Galera. 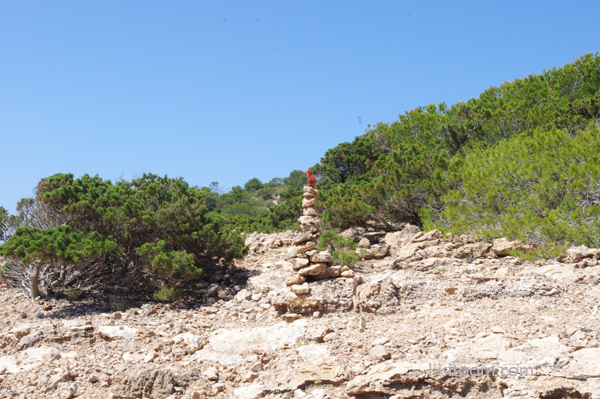 If you want to extend the walk, you can continue on to where the Buddhas head is and even further to Cala Salada and take the Cap Nunó walk which is now cleared. Punta Galera walk is only 8km from the end of the promenade in San Antonio (where Café del Mar, Golden Buddha and Mambo are). If you extend it to Cala Salada, add another 3 km and anther 13 km for Cap Nunó, in total. Now, in a way, I would not suggest this walking route. I don’t find it particularly beautiful, it does not have many coastal views and it is mostly on dirt road. Having said all that, I have to also say, it is a great walking route if you want to train, run in the evening and it has its own magic. 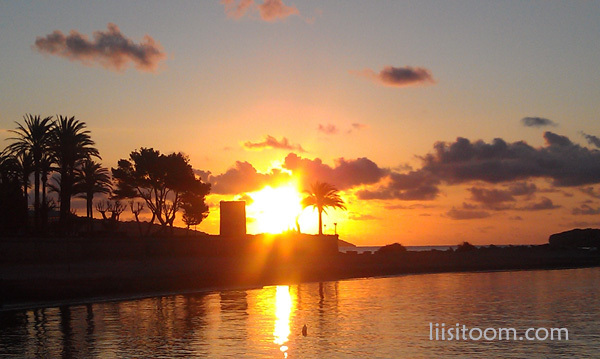 Parts of it also include a beautiful secluded secret beach(es) and you can combine it with a sunset on Talamanca beach. But, read for yourself about my S’Estanyol walking route. I started it from Figueretas, you can skip that and start from the Port of Ibiza where the Formentera boats go. The route is ca 14 km long, fairly easy, meaning no climbing besides one descend to the little beach. But, because of its length, you might say it is a bit difficult. You can easily access it from Ibiza Town, either by walking to Talamanca beach or taking a boat bus to or from Talamanca/Marina Botafoch – Ibiza Port. 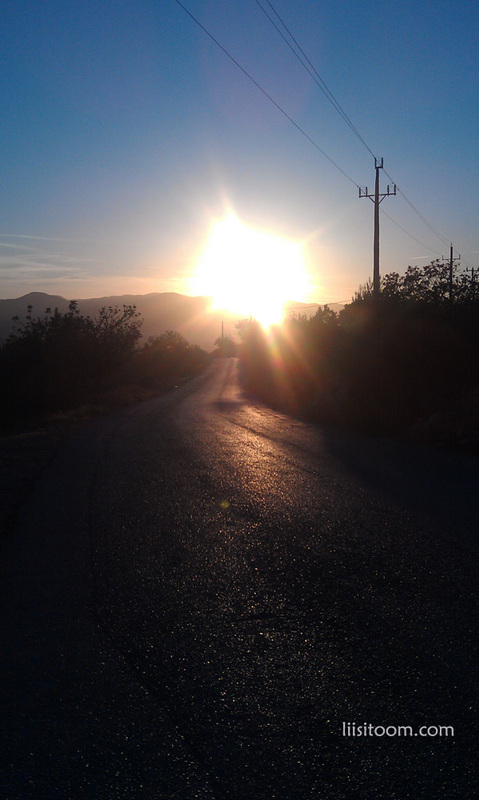 An amazing sunset on your way back from yet another walking route in Ibiza. 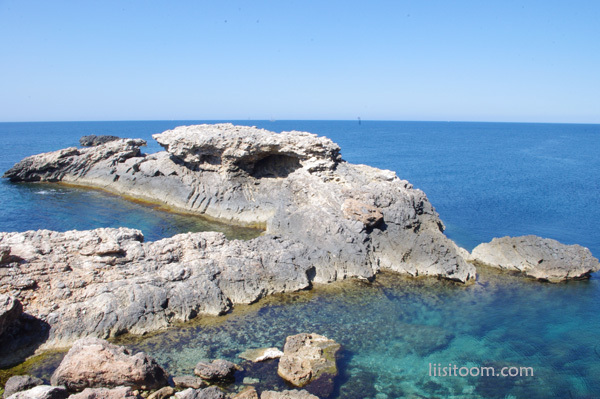 Cala Llonga walking route is yet completely different and has a character of its own. Though a short walk, it has quite steep ascent but even steeper descend if you want to make it a circular route. Since it is a short walk, I like to combine it with some activity. Like photography. 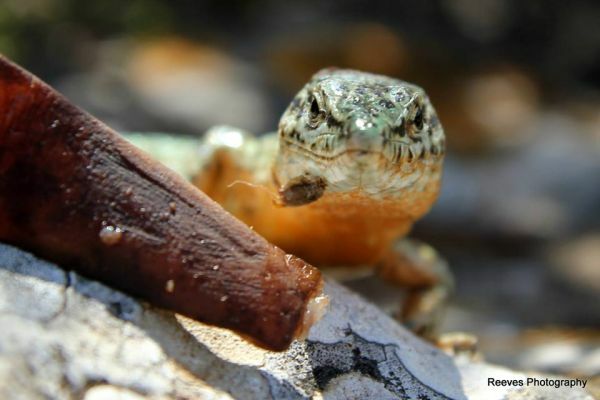 We had a photo shoot with lizards, you can see more pictures and description of the Cala Llonga walking route. I would take some time to stay at Cala Llonga beach afterwards and enjoy the very tight community and atmosphere there. You might catch them on a day when they have a “clean Ibiza” day, meaning they, the whole community, cleans the beach and has a lovely fiesta afterwards. 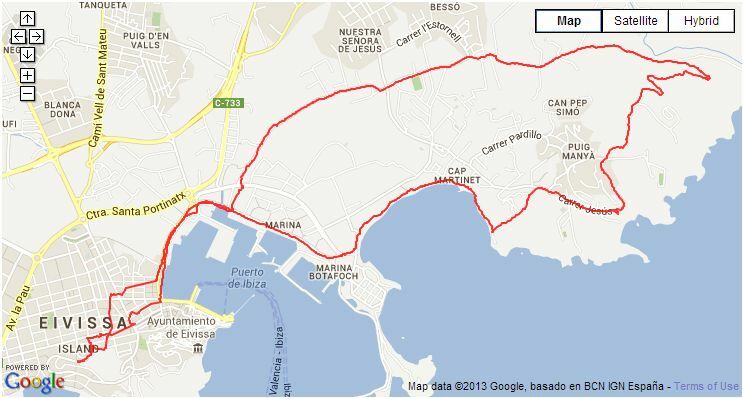 Enjoy just one more walking route while in Ibiza . . . The list is far from complete and there are some other routes I have done and enjoyed immensely. There is even more routes I have yet to find and some to create (stay tuned for information). But the routes above, even when Salines route was somewhat the same area, just cut into parts, if I’d have to choose only one route to do, I would have a trouble choosing from the whole Salinas-Cap des Falco route and Punta Galera route. All the routes above are easily accessible if you have no transportation, I believe anyone who has a passion for outdoors life and can walk, can also complete these walking routes AND get an understanding of Ibiza, the nature of Ibiza, the essence of Ibiza. You can read about other routes in previous blogposts. Find the bus times and stops at Ibiza bustable website. 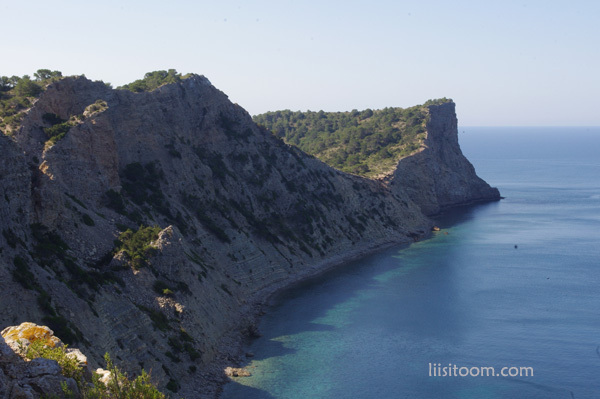 If you have any questions on these walking routes, want me to write about Ibiza, ask liisitoom(at)gmail.com.